Bet365 Casino is one of the best online casinos around in our opinion. Here we will bring you information about their latest welcome bonus and promotions as well as details about the types of games you can play at Bet365 Casino. 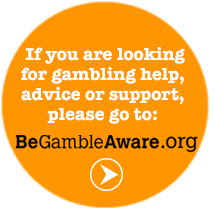 Please be aware that, like all casino bonuses and promotions, there are terms and conditions that must be read and adhered to, including that players must be aged 18+. Please Gamble Responsibly. What types of games are available at Bet365 Casino? It is our opinion that Bet365 Casino’s sleek website offers a varied range of games ensuring you have a top class online casino experience. Join today to discover what Bet365 has to offer or read on for information about some of the game types available. Bet365 have not spared any expense when it comes to slots and they have a large array on offer. Themes range from Hollywood blockbusters to footballing stars and from leprechauns to wild animals. Each games has its own slight variations and you can find out what they are by selecting the pay table/info button once the game has loaded. Among the range of slots are plenty of the ones inspired by DC Comics superheroes. Superman and Batman feature among them and they all share the same progressive jackpot which can be won at any time with any bet. The jackpot is divided into grand, major, minor and mini and the tiered prizes can also be found in the increasingly popular Age of the Gods slots. Not all the jackpot slots on offer are like this however and for many, only the entire prize can be won. Bet365 has all the classics you’d expect from a reputable online casino. There are several variations of roulette such as Dragon Jackpot Roulette and different types of blackjack such as Blackjack Surrender and Cashback Blackjack. Be aware that most of the Blackjack games are featured under the ‘Card Games’ rather than ‘Table Games’. Craps, Hold’Em and Baccarat are other table games offered by Bet365 although they are come in fewer forms. There remains a decent demand for Video Poker, a game which has similarities with slots but includes a round of decision making. Faces or aces are what you usually want as a pair of jacks tends to be the minimum pay out but this is not the case in the Deuces Wild games. In these 2’s count as any card which offers a refreshing variety on the five-card game. Bet365 have a handful of games that don’t really belong anywhere else and they tend to be ones with a focus on fun with seasonal themes that vary every so often. Simple games with virtually no learning curve, generally designed towards the more casual online casino player. Take a look at the site for the latest offerings.